What makes the Pacific Northwest great? Being a short drive away to beautiful forests, mountains, and the coast. Great coffee. Arts and culture. And of course, all of our beautiful trees. But the rainy weather that helps all of these trees flourish can also harm them as it provides the perfect climate for fungi that live inside of tree trunks and slowly decays the wood. You love the trees in your yard and don’t want to lose any of them to tree rot, so what can you do to prevent it from happening? Let’s start with the basics. Tree rot is caused by fungi entering a tree through exposed areas in the bark. These areas are weaker than places where the trunk is protected by undamaged bark. Once fungi enter into the tree, they reproduce within the center of the trunk, damaging the heartwood, which is the central part of the trunk. Heartwood provides much of the stability and structure of a tree, especially mature trees. So when fungi break that wood down, the tree will become unstable and weak from the inside out. Over time, affected trees and branches may even fall. This can cause damage to anything in the falling tree or branch’s path; your other trees, your property, and your family. This is definitely something you want to be aware of so you can try and prevent it from happening with your own trees. Since fungal rot happens from the inside out, it can be hard to tell just by looking at your tree that there’s something wrong. A tree that is suffering from decay can look perfectly healthy at first glance. Still, there are some signs you can look for. The most obvious visible sign is “conks” or mushroom growths appearing on the outside of the tree’s trunk or branches. When these start appearing, it is a sign that there is a lot of decay inside the tree as conks feed off of rotting wood. In this case, you should contact an arborist as your tree could pose a safety hazard. You can also look for openings and holes in your tree. 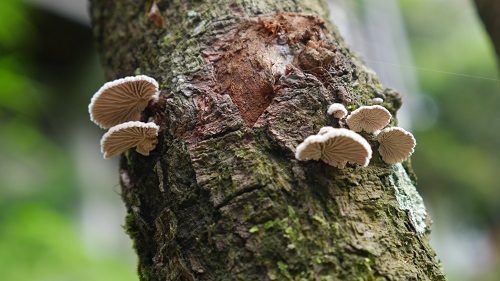 Since fungi get in through exposed wood that is not covered by bark, identifying problem spots can help you monitor your trees and keep them safe. Insects like termites and carpenter ants are also drawn to rotting wood and may be present around your trees. Also, know that all kinds of trees can be affected. While some trees are more resistant, like some species of conifer, no species is completely immune to rot. How do I Prevent Tree Rot? Prevention is the most important step to making sure your trees don’t get fungi in the first place. If none of your trees are currently affected, great! It is essential to make sure they stay this way. Once one tree on your property is affected, the rest are more easily affected because fungi can spread through the soil to neighboring trees. It’s difficult to remove fungal spores completely from the soil once they’re present, so prevention is very important. One easy thing you can do is make sure your trees are getting the proper amount of water. Here in the Pacific Northwest, we get a lot of moisture. You need to make sure that your trees are not getting too much water as this can encourage fungal growth. Of course, don’t overcompensate and not water your trees enough. As well, make sure your trees are being properly pruned. Cut off excess branches neatly to minimize the amount of damage done to the tree. When the wood of a tree is exposed, it allows for an entrance to fungi, so make sure that you are keeping wounds in the trunk as small as possible. Getting a professional to help prune your trees guarantees that you won’t accidentally cause damage. If you have young trees in your yard, it’s a good idea to work with them while they’re still growing rapidly. By shaping them early in their lives, it will be less likely that you’ll have to do significant branch removal in the future. This is important because young trees are less susceptible to structural damage from rot. Because young trees are still growing, any damage from rot will be contained and the structure of the tree will not be compromised as much. But older trees that get heart rot are more likely to suffer structural damage and collapse. The older a tree is, the more vulnerable it is to storm damage. While serious storms do not frequently happen in the Pacific Northwest, sometimes we do get heavy winds that cause breakage. If a storm has damaged your trees, remove any broken branches and trim as necessary to help your tree recover. On top of this, check your trees every year or so to look for signs of rot, and to make sure your trees’ new growth is properly supported by existing structures. What if I Suspect My Tree is Rotting? While prevention is the best thing you can do, sometimes your trees still develop a rot problem. Before doing anything, be sure to call a professional arborist to assess your situation. They will be well-trained to assess the extent of the damage to your tree. Since tree rot can be largely invisible, it can be hard to tell how damaged your tree is, especially if you’re not well-versed in trees or have never had experience with this problem before. If the damage has not spread very far, it might be possible to save your tree. But if the rot has spread too much, it may be better to remove the tree to prevent damage to your other trees and property. Contact a reputable tree service company to have an experienced professional help you make the correct evaluation and safely remove any hazardous trees. Join the discussion on this topic with One and Co by visiting our contact page. If you’re heard your friends or family members rave about how massage therapy has positively impacted their lives, and are looking for the best massage sydney cbd has to offer it’s well worth continuing reading to discover a few of the key benefits of massage therapy and why you should book a massage. One of the reasons why so many individuals enjoy getting regular massages is that when you lie down on a massage table, you’ll be able to let your mind drift off and relax whilst you’re enjoying your massage. So if you frequently feel stressed out, over worked and tired and find it difficult to relax, it’s well worth booking regular full body massages. Even if you don’t manage to fall asleep during your massage treatment when you get home, your muscles and your body will be so relaxed that you won’t have any difficulty falling asleep. Better yet, you should find that you’ll sleep throughout the night, without waking up, after enjoying a relaxing, rejuvenating massage. If you often suffer from aches and pains as a result of sitting at a computer desk all day or pushing yourself through daily gruelling workouts, you’re in luck as your massage therapist will be able to work on the parts of your body which feel strained. As an example if you have a knot in your shoulder, your massage therapist will be able to work the knot out of your shoulder, so that you feel as good as new again. If you get regular massages, your body will be free from aches and strains for most of the time, with will allow you to give your all to your workouts without having to worry about working out with nasty strains or injuries. As if you try to work out with strains or pain, all you’ll do is further antagonise your injury. Which may mean that you have to put off working out for longer. So if you hate missing out on your workouts, it’s a great idea to get regular massages. While you will be in a room with your massage therapist, you won’t be expected to keep a conversation going and will be encouraged to rest and relax and to spend a bit of quality time by yourself. So if you often feel burnt out by dealing with your friends, family members and colleagues on an everyday basis and find it extremely difficult to enjoy 30 minutes to an hour by yourself, you may find the well deserved break which you’re looking for by booking regular sessions with a qualified massage therapist. So if you like the sound of some of the health benefits associated with undergoing massage therapy, it’s well worth booking a session for yourself today. If you’re seriously considering going under the knife in order to get the breasts of your dreams, continue reading to discover some of the key benefits of choosing to undergo a breast augmentation treatment. While there’s certainly nothing wrong with having smaller breasts, if you’ve looked in the mirror for years and wished that you had slightly larger breasts, you may well find that if you choose to undergo breast augmentation that you’ll start to feel more confident in your body. So if you’d love to be able to strut down the feet and feel confident and attractive, you may want to seriously consider undergoing a breast augmentation procedure. As in today’s day and age you won’t have any trouble finding a surgeon who’ll be able to give you the perky, natural looking breasts that you’ve always dreamt of having. If you would sigh every time that you’d look in your bedroom or bathroom mirror and catch a glimpse of yourself wearing a dress that you can’t fill out properly, you’ll love the results of undergoing breast augmentation. As post operation you’ll finally be able to fill out your favorite dresses. Who knows as a result of your new and improved figure you may want to treat yourself to a shopping spree as you’ll fall in love with the way that you’ll look with your new breasts. While your breast size in no shape or form determines your femininity or womanhood, you may just find that you naturally feel more like a grown up woman and less like a little girl after undergoing a breast augmentation operation. Especially if you have an a or b cup chest and would prefer to have a c or d cup chest. At the same time that your surgeon inserts your silicone breast fillets, they’ll be able to lift and sculpt your breasts so that they’re even perkier than they currently are. So if you envy women who are able to wear strapless summer dresses or dresses with thin straps or plunging backs without wearing a bra, you’ll finally be able to wear your own dresses without a bra. Which is great news if you hate trying to force your chest into finicky strapless bras that are a nightmare to put on by yourself and which often struggle to stay in place. As an example if you avoid dating as you’re not happy with the size of your breasts, if you undergo a breast augmentation you’ll be far more likely to push yourself to go on a few dates. As you’ll feel far more confident about your looks with your new breasts. So if you’re unhappy with the look, shape or feel of your current breasts, it’s a great idea to find out more information about undergoing a breast augmentation operation and finding experts in procedures like breast augmentation to help make your dreams and wishes come true! If you’ve set a direction for your relationship but are unsure of how to go about achieving your relationship goals, continue reading to discover a few tips on how to get closer to achieving your long term relationship goals! If you find you are still struggling you can always look to find love with matchmakers. If you get easily frustrated with your partner and lash out at your partner over small insignificant issues, your relationship won’t stand much chance of going the distance. So it’s well worth learning how to choose your battles wisely and to only bring up issues which are serious and worth addressing. As your partner is far more likely to listen to your frustrations if you don’t complain about every little thing that they do, which annoys you. After all, how likely would you be to listen to your partner if they complained about your choices, quirks and mannerisms dozens of times per day. In all likelihood you’d probably stop listening to what they have to say. Even if you disagree with your partner, you should never resort to using insults such as name calling in order to hurt your partner. Instead, respect your partner enough to tell them that you’re willing to agree to disagree on opinions which you don’t see as a deal breakers. If you praise your partner and tell them what you love about them and your relationship, they’ll start to associate the things which they do well with positive emotions. So if there are things about your partner that you’re grateful for such as their back massages or how they bring you home your favorite snacks, it’s well worth letting them know how much you appreciate their efforts. While you may think that its obvious, if you don’t keep telling your partner just how attractive you find them, they may start to doubt whether your spark is still alive and whether you find them attractive. So make sure to compliment your partner’s looks on a regular basis. After all, everyone wants to look attractive to their partner, no matter how long you’ve been together. You can’t expect your relationship to soar to new heights if you only talk about your goals as individuals and as a couple at the very start of your relationship. Instead, make a habit out of sharing your personal hopes, goals and dreams with your partner and evaluating and tweaking your couple goals with your partner. To ensure that you’re both still on the same page and can work together towards your goals as a team. Instead of letting your social media accounts and your smart phones take over your lives, make sure to switch your smart phones off when you’re spending time together. In order to ensure that your relationship and not your virtual life remains a priority in your life together. So if you’re determined for your relationship to go the distance, it’s well worth learning from all of the pieces of relationship advice listed above. To discover some of the challenges which seniors face on an everyday basis, simply continue reading to discover a list of just a few of the difficulties that arise as individuals age. One of the issues which seniors face is the gradual deterioration of their eyesight. As an example, it’s not uncommon for seniors to start to struggle to read the labels on their medication or to have difficulties reading books which feature regular sized print. As individuals age, they’ll notice a marked decrease in their strength. Which can make simple, everyday activities such as opening and closing jars and going for walks a lot harder. However, by maintaining a healthy, active lifestyle, seniors are able to increase their strength level over time. Many seniors slowly becoming more reliant on their loved ones such as their kids and grandkids as they age. However, for many seniors, it’s extremely difficult learning how to ask for help or accepting help from their loved ones. Especially after a lifetime of looking after their kids and grandkids and enjoying their independence. Individuals who retire and live solely off government pensions often suffer to pay their bills or to be able to afford the same level of lifestyle, that they were used to when they were employed full time. As a result of decreased income, many seniors are unable to remain in their homes and are forced to downsize or to move into a rest home or a family member’s home. While other seniors may have enough income to remain in their homes but may not be able to afford to go on regular vacations or to purchase luxuries on a weekly basis. Many seniors also experience a decline in their mobility and may become reliant on a walker or a walking stick in order to get around. Other seniors may even purchase a mobility scooter, to make running errands such as visiting their local grocery store a whole lot easier. Other seniors may find that merely getting around their own home is a struggle and may need to move into a single story home or to place multiple handrails around their home. Loneliness is a common feeling among seniors. 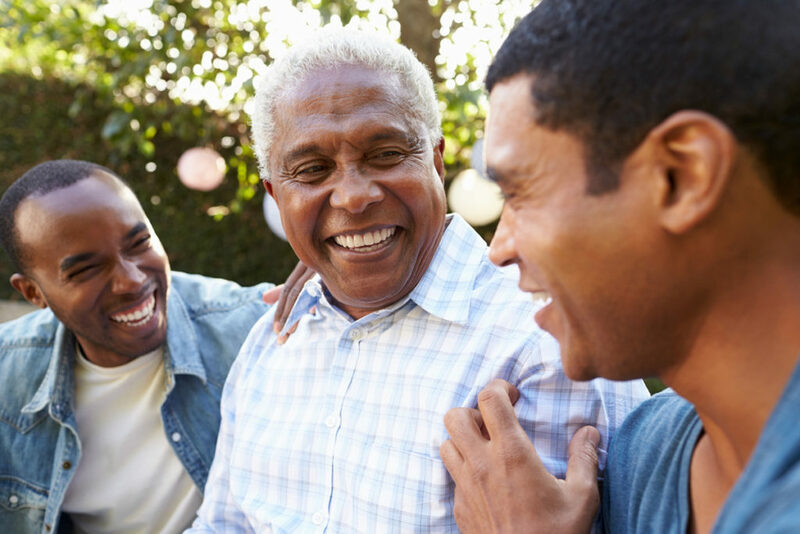 As individuals age, they may start to lose many of their friends and may not be visited by their family members as often as they would like. As many children and grandchildren of senior citizens are preoccupied with their own lives and their careers and children. Often seniors just want someone to talk to. Especially if they are widowed and no longer have the company of their longtime partner or spouse. While some seniors take to new technology like ducks to water, other seniors may find using new pieces of technology such as smartphones and tablets difficult. Fortunately, if you are still using a smartphone or mobile device there are alternatives out there such as an Opel big button phone which will help you see and use your phone easier even if you are not as up to date with the technology. Hopefully, after reading the article above, you are now aware of some of the common challenges which are faced by senior citizens! To discover a few reasons why you should invest in high-quality custom uniforms for your healthcare facility, simply continue reading to discover a few main reasons why you should wear custom uniforms in a healthcare facility. One reason why you should invest in ordering custom uniforms for your employees is so that everyone can easily identify your employees. As an example, in a doctor’s office or a rest home for seniors, visitors to your healthcare facility will be able to easily identify your employees and to tell your employees apart from fellow visitors and patients. It’s a great idea to purchase custom uniforms for your employees, in order to give your employees a sense of pride in their role and their job. Remember that if you choose flattering, stylish, practical uniforms for your staff members will feel much more confident in their roles than if you were to force your staff members to wear uniforms which they don’t like. 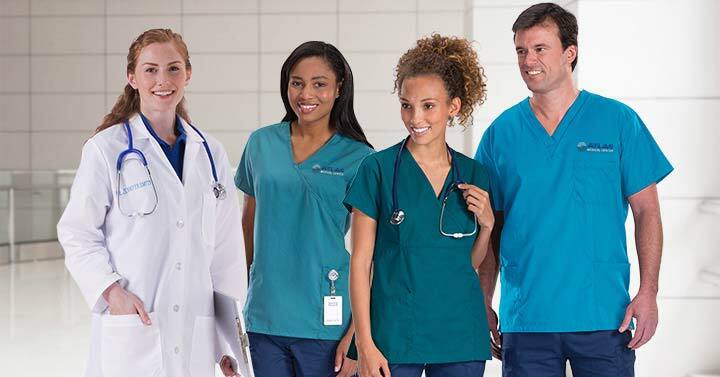 Another reason while you may be interested in customizing your healthcare facility’s uniforms is that you’ll have a chance to get your healthcare facility’s name and logo embroidered onto the front of your staff member’s uniforms. Which will give your facility a professional look as opposed to giving your staff members uniforms which are plain and generic and which don’t feature your facility’s logo and name. If you’re interested in making it easier for your patients and visitors to be able to identify your employees, it’s a great idea to get your employees names embroidered onto the front of their uniforms. Such as their shirts. As that way, your clients and visitors will be able to use your employee’s names in order to ask your staff members questions and queries. As an added bonus, if you give your staff members uniforms which feature their names, your employees may be able to walk around your healthcare facilities without name badges. Which can often get lost or misplaced. In order to stop your staff members or patients trying to steal your staff members uniforms such as your employee’s shirts, it’s a great idea to order customized uniforms instead of regular uniforms for your staff members. One way to make it easy to distinguish your staff members apart, you may want to consider ordering different color uniforms for the different roles which your healthcare facility offers. As an example, you may want to give your reception staff green-colored uniforms and your nurses’ yellow colored uniforms. Which will make it simple for staff members and employees alike to find the right staff members to talk to. Hopefully, you’re now fully convinced of the benefits of purchasing custom uniforms for your healthcare facility! If you’re looking for a place to start, nnt customised workwear has a variety of options to chose from and are high-quality.